"Economic growth in the U.S. remains modest at best, and there are plenty of reasons for overseas investors to continue to plow money into the U.S., keeping downward pressure on interest rates. Inflation is still struggling to find reliable traction, the Fed continues to recycle inbound funds into replacement buys of Treasuries and mortgage-backed securities, and even though there is a Fed meeting in about two weeks' time we are likely still months away from the next change to short term interest rates (and that provided that economic conditions warrant such a move). All told, we're in a sweet spot for mortgage rates; fixed rate mortgages are less than a quarter-percentage point above 60-plus year lows, and are supporting home purchase and refinance opportunities alike. 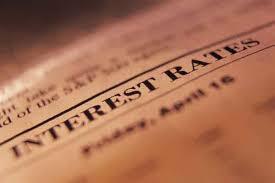 For mortgage rates and other interest rates, there's not much to go on. Financial markets are fairly flat of late, and pretty quiet; the economic data has contained no surprises and there's not indication of new malaise (or a breakout from old versions) to be seen anywhere. Unless we suddenly run into a spate of much stronger data and/or some reliable traction for prices, there's really little reason to expect any sharp uptick in rates. Given the fragile state of the world, though, and the unsteady nature of markets, there could certainly be an even which would send rates here further down. We'll try to be more optimistic than that, though, and hope that a period of stability will remain for a while yet. Recent odds don't favor this, but at least it would seem that the winter upset of the markets has left us (for now) with a quiet period in which to work. Not too much on the data front to consider next week, but we will see some housing data and a few other tidbits. It doesn't look as though we will see much movement in mortgage rates next week, but we could wobble up or down by a couple of basis points by the time Friday rolls around."